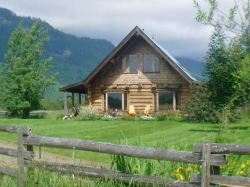 Welcome to our selection of holiday homes to rent in British Columbia, Canada. 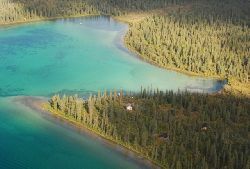 With so much of natural beauty, British Columbia offers some spectacular choices for camping and trekking in some breath-taking natural settings. For the cycling enthusiasts among you choose from cycling along city paths or opt to cycle up a steep vertical. If you are up to it, challenge Rossland�s Seven Summits Trail that has some exciting mountain biking. If you are tired of the city life, head to a ranch where you can round up some cattle or relax at a Guest and Dude Ranch. There are rock climbing locals that cater to different levels of expertise. If you are interested in history, explore the regions Aboriginal and pioneer history by a visit to the many heritage sites. The main areas for outdoor activities are Vancouver, Whistler and Victoria. British Columbia is famous for its spectacular parks and abundant wildlife. Its many majestic mountains, along with some of Canada�s highest waterfalls provide a scenic backdrop that is picture postcard perfect. The large coastline allows you to spot seals, sea lions, porpoises, fish and other marine life. If you are visiting between May and October, head to Vancouver bay for a whale watching expedition, where you can see killer, humpback and Pacific grey whales. You can go on a trip ranging from a few hours to a day and even up to a week. Inland you can view moose, mountain goats and bighorn sheep. In fact the place teems with so much of wildlife that a drive along the highway in itself is a prime wildlife viewing opportunity. In almost all the regions, you are sure to spot grizzly bears. If angling be your thing, fight for your angling life by trying to hook the Chinook salmon, white sturgeon and steelhead, among others. Naturally, you will need to relax after all this activity. The best place for this is one of the hot mineral water springs that abound in the region and often located in scenic areas. Opt for one in natural settings for that natural feeling. Due to the high mineral content, they have a lot of therapeutic benefits. Kootenay Rockies is a good choice, as it has many such springs. You can also indulge in a spot of cave exploration and camping amidst picturesque surroundings, make a trip to one of the many zoos and visit one of the many mining towns. A visit to British Columbia, Canada will leave you with scenic memory of nature in all its pristine glory. Looking for self catering holiday accommodation in British Columbia? Then below is a selection of condos in British Columbia and houses in British Columbia that can be rented direct from their owners. You can either click on each listing for further details or you can use our search engine on the left if you are looking for something in particular.